I regret to inform you of the death of retired Constable William Swan, affectionately known as ‘Big Bird’, who passed away suddenly, at home, on Saturday, 16 September 2017. Unfortunately, Willie suffered from diabetes and had lost a leg and was in danger of losing his other. This had a profound effect on him and his general health deteriorated. However, he remained staunchly independent and refused to go into a Nursing home, despite living alone. After leaving school Willie became a time-served plasterer with Lithgow’s in Lanark. He was called up for National Service and became a Military Police Officer, working in Germany, attaining the rank of Sergeant before the end of his two years conscription. On returning to ‘Civvy Street’ he worked as a plasterer with Glaisters the Builders in Lanark. On 20 July 1959, he joined Lanarkshire Constabulary as a Constable and was stationed at East Kilbride, moving into a Police House in Baird Hall, Murray, East Kilbride. Willie, as a proudly independent man, wanted his own property, to allow his loving wife Jayne to indulge her passion for breeding German Shepherds. He obtained a loan from the Scottish Temperance Society and the rest from a money lender and purchased the small holding ‘Greenacres’. As was the nature of the man, he paid off the loans within a year and set about developing the property. He put his building skills to good use and built kennels, garages etc. which would have been a credit to any professional; buildings that have stood the test of time as Starhope Boarding Kennels. ‘Big Bird’ was always a popular character and very helpful colleague, he was held in high regard for his common sense, general knowledge and abilities. He had a short spell in the CID and had all the attributes to be a successful Dog Handler, however, he chose to transfer to the Traffic Department at Hamilton. He worked through the transition to Strathclyde Police, in 1975. 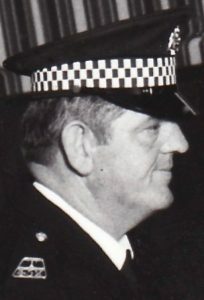 He is best remembered as one of the drivers of one of the motorway vans on the M74, initially working in Hamilton and eventually moving to Motherwell Traffic Department with the shoulder number T452. He retired from there on 11 March 1990, after over 30 years exemplary police service. Willie then continued working at Fernigeair Sawmill as a delivery driver throughout Lanarkshire, until his diabetes became too difficult to manage. He enjoyed fishing and photography but his passion was star gazing. Willie was a widower, sadly pre-deceased by his loving wife Jayne, who sadly passed away suddenly at their home on Friday, 23 June 2006. They had no family and Willie is survived by his two younger sisters.